Bedazzled Ink Publishing, 9781945805509, 178pp. 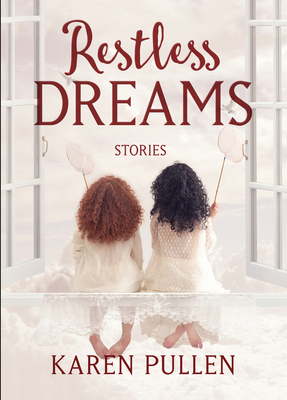 The characters in the 18 stories that comprise Restless Dreams, a collection of short stories, share a certain resemblance: tired eyes, a slow trudging step, and the distracted air of someone with lots on her mind, some of it unspeakable. But despite sore feet and an aching heart, each yearns for better days, aims for what is right, and makes it all work somehow. She’s a cop, a mom, a saleswoman, nanny, teacher, hairdresser, teen. None have it easy, but they don’t give up their restless dreams of a more perfect life. Karen Pullen's restless dreams were achieved when she escaped the cubicle and took up fiction writing. After earning an MFA from Stonecoast at the University of Southern Maine, she published two traditional mystery novels, Cold Feet and Cold Heart, and numerous short stories. Karen serves on the national board of Sisters in Crime, and works as an innkeeper, editor, and teacher of writing. She lives in Pittsboro, North Carolina, and blogs occasionally on her website, karenpullen.com.